Sorry for not posting in a while- I have been in a bit of a daze since the first of December. School is very busy, and the children are most excitable at this time of the year. 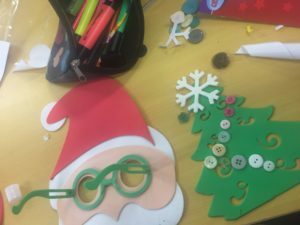 So while the classroom is no doubt the most special and exciting place to be in the run up to Christmas, it can also be more tiring than usual! This is just a quick post to show what I have been and will be teaching over the December weeks. 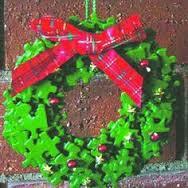 I found these jigsaw wreaths on pinterest, and thought they would be great to make as all you need is jigsaw pieces, ribbon and card. 5th class made theirs today and they turned out really well. You can view them on our class blog , Kilcoskan 5th and 6th, from tomorrow onwards. While 5th were working on these, 6th class worked on a special art project together. As it is their last year in school (I don’t like the thoughts of them leaving! 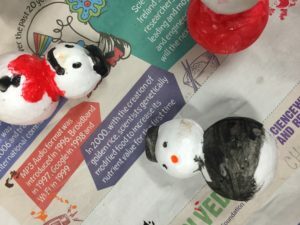 : ( , they are working on a whole class Winter Wonderland Scene, which will be displayed outside the classroom. They are working from their imaginations, completely without prompts. I can wait to see what they come up with! I am sure they will impress me as always! 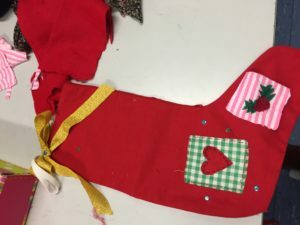 Our main art project is our Christmas Stocking Project. I introduced sewing around three weeks ago. Two very kind parents come in each week to help. All the stockings are now sewn at last. 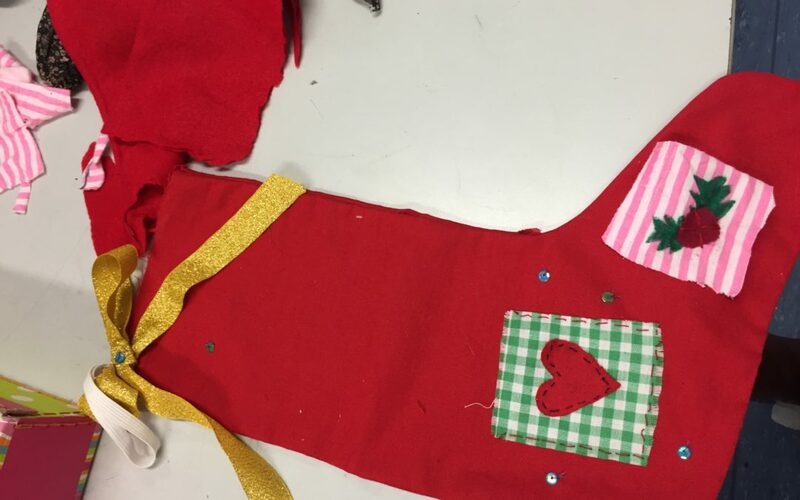 Some children finished their stockings, others are still adding the decorations to theirs. They look amazing though and the children are so proud of them! We are preparing for our Christmas concert. We are singing ‘O Holy Night’, ‘Jingle Bell Rock’ and ‘We Wish you a Merry Christmas’. We are also going to play ‘Jingle Bells’ and ‘O Holy Night’ on our tin whistles. Maths: We just finished long division on Friday. I am reluctant to start a heavy strand unit so close to Christmas as the concentration levels are waning, so we are revising instead. I am working on word problems this week, which revise all computations and fractions. I will upload my Christmas word problems to the website if you would like to use them too. English: We have finished our class novel, so I am reading A Christmas Carol aloud to the class. We are studying the themes and characters in the novel. We are also doing a lot of free writing as this has been neglected over the past week or two! We are of course using Christmas writing prompts, which I will also upload to the website if you need ideas! Irish: We are learning Christmas vocabulary and working on sentence structure. History: We used up all our history time allocation on our WW1 projects, so we will be returning to history in the New Year. I much rather grouping SESE to suit themes, rather than doing one hour of history, geography and science a week. It is hard to get a flow going that way. We will discuss Christmas traditions, but this will be under oral language rather than history. Geography: We will be examining Christmas traditions around the world. 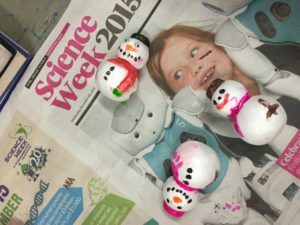 Science: We will be working on designing a suit for Santa using various materials. SPHE: The importance of giving and sharing at Christmas. During discretionary time, on rainy break times and during golden time, we also decorated our classroom Christmas tree! It really is great being a teacher around Christmas, you can sense the magic in the air!